"Don't touch the water!" Zark cried out, tackling Coren Starchaser to the deck of the boat. His touch was now just as solid as it had been in life, until a wave crashed over the side and splashed over them both. Both Jedi began smoking, and Coren's spirit guide started to fade. His cries to hold on could just barely be heard over the torrent, for Coren who had just been considering calling on the Force to intercede would now find that his connection to it was fading. All either of them could do was cling to the deck of the boat, and ride out the River's furor. After what seemed like a very long time but in hindsight must have only been a few minutes, the storm subsided of its own accord and the waters around them were unnaturally calm. "Your powers should return...in time," the Jedi spirit was panting heavily, still flickering in and out of corporeality, "I am afraid until then you will continue to feel a great sickness. Welcome to the River of the Dead, the Path of Choices awaits us at its mouth. Here, give me a hand." Zark could feel the sickness too, he was a being of the Force after all. It felt like radiation poisoning, and for as long as it lasted he was confined to this plane of existence, unable to access any of his spirit powers. Despite the pain, he reached for one of the oars and began to row them both downriver. They could not afford to tarry in any one place for long, the Ferrymen wouldn't hurt them but if their deception was discovered this journey would be over before it had ever begun. "We don't have much time, I can tell you a little more now that you're on the Other Side. You won't remember most of this when you wake up anyway. There's no other way into the Mist-Beyond than the Path of Choices, not one that I know about anyway. I should be able to pass unseen, but you'll have to be Judged." Intent: To submit a system defense fighter for use by the Sullustan Home Guard and private buyers. Patrol Fighter: Designed as a mid range intercept craft intended to operate along an established patrol route, the Cutlass-10 is marketed with a police action and anti-piracy focus. No Astromech: Lacking room for additional support systems including an astromech port, the Cutlass is a single seat fighter operated entirely by a solo pilot. An all too common sight in the Sullust system and its surrounding region, the Cutlass-10 is used so ubiquitously as to be practically synonymous with the Sullustan Home Guard. Also occasionally referred to as the "SoroSuub starfighter", for the planetary megacorporation which employs the vast majority of its own species. The Cutlass is a patrol fighter, a mid range defense craft ideal for use by PDFs and privateer outfits. The Cutlass design is sturdy, reliable, battle tested by centuries of continuous use. This newest edition is the first update in some time, and does not introduce anything radical to the concept, instead simply overhauling and refurbishing the old Cutlass-9 systems to a modern galactic standard. Intent: To submit an standard, mass produced X-Wing intended for use by ORC and Alliance fleets. Balanced Fighter: The XJ8 is used for a wide variety of mission profiles, employing the battle tested centuries old X-Wing design to allow its pilots the ability to operate as a highly mobile strike force on the battlefield. The XJ8 is effective both at holding its own in a dogfight and as bomber support in capital engagements. Ease of Production: Designed to be above all things very easy and cost effective to produce, the XJ8 is seen in large numbers throughout the outer rim. Even system with relatively modest income sources could potentially field many wings. Unexceptional: In order to cut costs on the manufacturing floor, while the the XJ8 is very competitive on the civilian market nothing about it truly stands out in a military theater. Officially marketed as a system patrol vessel intended to be sold to system defense forces and other paramilitary groups, the XJ8 is a thinly veiled attempt to disguise military hardware as civilian surplus. In fact the minds behind the XJ revitalization project were deeply connected with the exiled Galactic Alliance government now in hiding deep in the Outer Rim Territories. As what remains of the Alliance Defense Fleet withered away under attrition, the XJ8 was commissioned to serve as a replacement craft for a government which could no longer afford the state of the art. Inferior to other competitive models in most respects, the XJ8's one saving grace is that it is cheap. Cheap to build, cheap to maintain, easily replaceable for a resistance outfit on a budget. 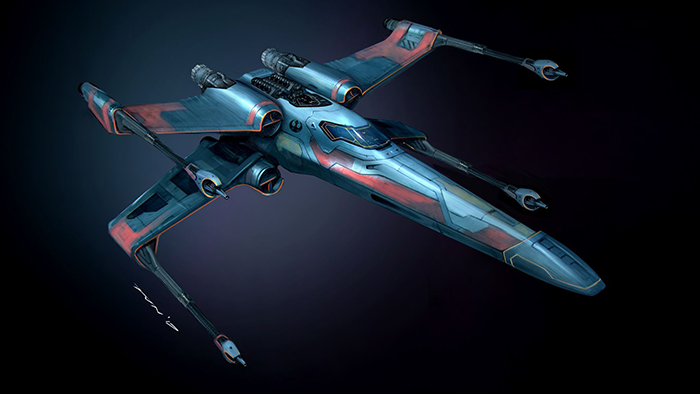 Intent: To submit an advanced X-Wing intended for use by ORC and Alliance PC pilots. Elite Fighter: The XJ9 is a cutting edge fighter commissioned by a newly reformed Alliance government, meant to serve as the next generation in military spacecraft. Based on the foundation of the XJ8's design, its successor is outfitted with stronger shields, an overcharged ion drive, and supercharged weapon hardpoints. Charged Burst: Owing to the craft's optimized galven coils the XJ9 is capable of ramping up its charge settings on a limited burst of laser fire. This feature is at its most effective when cutting through enemy shields with precision shots. Fly By Wire: The XJ9 is packed with state of the art electronics, and because of this reliance on technology the starfighter is particularly vulnerable to ion blasts. Ion impacts which penetrate the vessel's shields can trigger a chain reaction of system failures, even effecting critical units such as life support. Focused Overheat: Utilizing the XJ9's optimized galven coils does not come without risk. Holding charge on the X-Wing's laser cannons can cause them to overheat and combust, taking the cannons entirely out of commission and possibly even causing secondary hull damage. A recently commissioned iteration on the XJ8 design which surreptitiously found its way into the hands of many outer rim militias, the XJ9 leaves no question as to the nature of its mission profile. 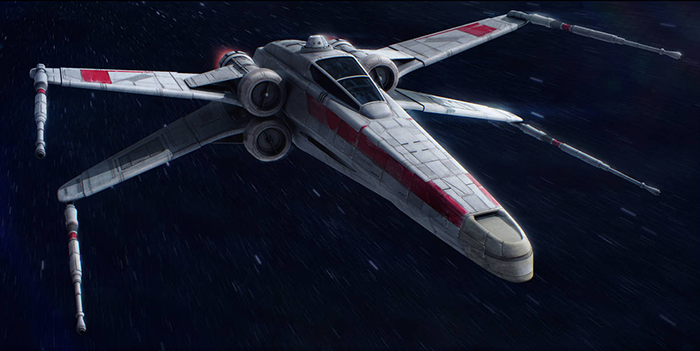 Intended to compete with the best the likes of the Sith Empire and First Order Remnant have to offer, the New Alliance X-Wing balances an interceptor resistant profile with heavier hitting anti-capital firepower. While its lighter profile is more reminiscent of the old Sprite-class, the XJ9 borrows as well from the old GA Dauntless' virtual heads up display and shares the same low sensor profile as the infamous TR-20. Built to be as versatile as possible in order to excel in a variety of mission profiles, perhaps the XJ9's greatest weakness is that it does not have a defining strength. Intent: To codify special forces operators for the Alliance Armed Forces. Role: A military support unit to reference for any military or Force user PCs during Outer Rim uprisings. Description: An elite special forces division of the Alliance Armed Forces, Pathfinders compete with the SpaceOps Marines for the most highly trained combat units the Galactic Alliance once had to offer. Noteworthy for the high percentage of soldiers who answered the call to fall back and regroup in the Outer Rim, it was the Pathfinders' unconventional tactics and fanatic loyalty that overthrew the One Sith and it is that same fervor that keeps them operating even after the dissolution of their government. Combat Function: Alliance Pathfinders are elite guerilla fighters, trained in force reconnaissance and resistance operations. For all their skill, as a special forces outfit they are best employed as a force multiplier, still reliant on conventional infantry units like Twilight Company in direct engagements. Special Forces: Pathfinders are hand selected from the most promising young warriors the Alliance still has to offer. Trained in teräs käsi by monks of the Light Hand, even against trained Force users a team of these soldiers could be considered a threat. Resistance Fighters: Any good Pathfinder knows how to blend in with his surroundings, to use the local terrain to their advantage. Specializing in sabotage as well as search and destroy missions, these soldiers are far less likely to be encountered on the front lines of a combat zone than they are behind enemy lines with their blades to a sentry's throat. Equipment Quality: Imperial stormtroopers and Sith legionnaires may get issued only the best equipment, but Alliance Pathfinders make do. Although they are trained to scavenge supplies from the area, refurbished weapons and limited ammunition can make the difference in a life and death situation. Targeted Surveillance: Pathfinders are trained to evade the rank and file, but they are not intelligence operatives. Counter-espionage specialists and enemy agents would be able to pick up their trail even after they've gone to ground. Once considered among the most fearsome warriors in the galaxy, Alliance Pathfinders are now once more soldiers of a fallen empire. 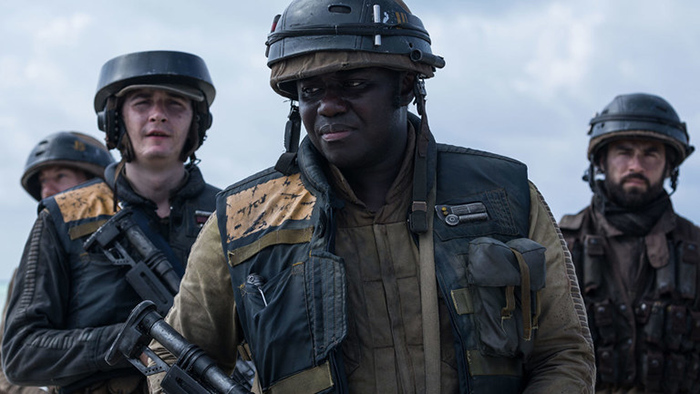 Proving themselves throughout the One Sith and First Order campaigns, this elite cadre of army specialists was thought to have been annihilated along with the Galactic Alliance government. Due to the actions of a brave few, however, the GAAF special forces branches suffered the least in casualties and defections during the Fall. Now a more significant component of Alliance-in-Exile military operations, the Pathfinders have been deployed once more in force as resistance operations ramp up against First Order holdouts in the Outer Rim. Rarely deployed in numbers larger than a handful of companies across an entire system, Pathfinders have nevertheless long ago made a name for themselves as the laser scalpel of the Alliance's military arsenal.